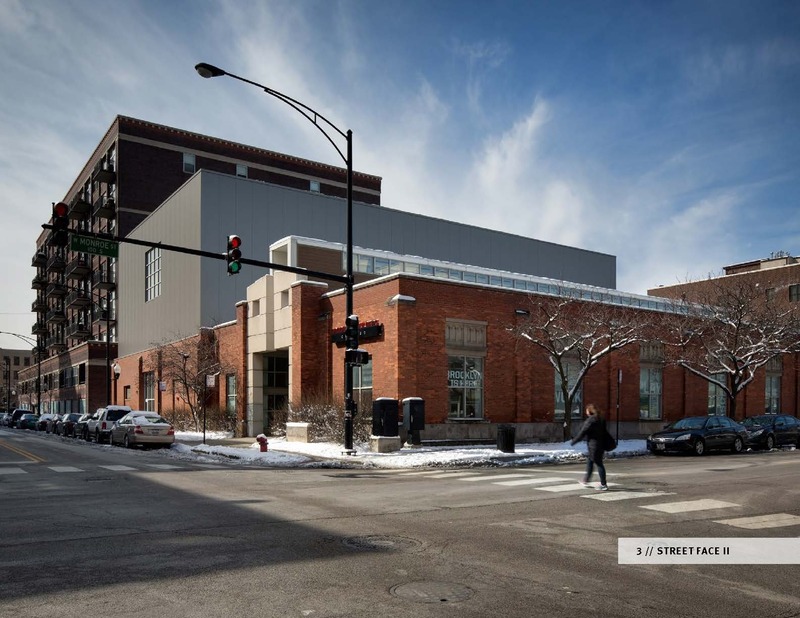 [ Program & context ] This street-smart rock climbing gym in Chicago’s West Loop was designed to create a community where physicality stimulates innovation by blending climbing with art, culture, and music. The gym is a hot spot for entrepreneurs and innovators, who seamlessly shift between workouts and business meetings. At 25,000 square feet, the facility is one of the largest indoor climbing facilities in the Midwest and is comprised of free-climb bouldering walls, 50-foot roped walls, fitness equipment, yoga, and an active collaborative workspace. [ Design challenges and solutions ] The design reflects the client—a company steeped in the urban traditions of Brooklyn—and represents the subtle sophistication of the climbing community by seamlessly blending adventure, creativity, and performance. The gym is a place where work meets workout; the “Active Collaborative Workspace” is a signature component of the gym’s brand and is where climbers and local start-ups can interface between workout sessions. The ACW is perched above the bouldering wall at the mezzanine level and furnished with balance balls, large tables, and standing desks with chin-up bars to promote constant physical activity. The facility as a whole is an adaptive reuse of two adjacent church buildings; large wood trusses are a reminder of the building’s history. The original skylight was also preserved to bring natural light deep into the space. The open feel achieved in the climbing areas gives the facility a welcoming, communal atmosphere and is endlessly flexible, providing enough space for performances and events. Instead of using traditional paint, a crew of artists created large-scale murals and artworks that are integrated throughout the space, making creativity ever-present to a client base that feeds off of innovation.